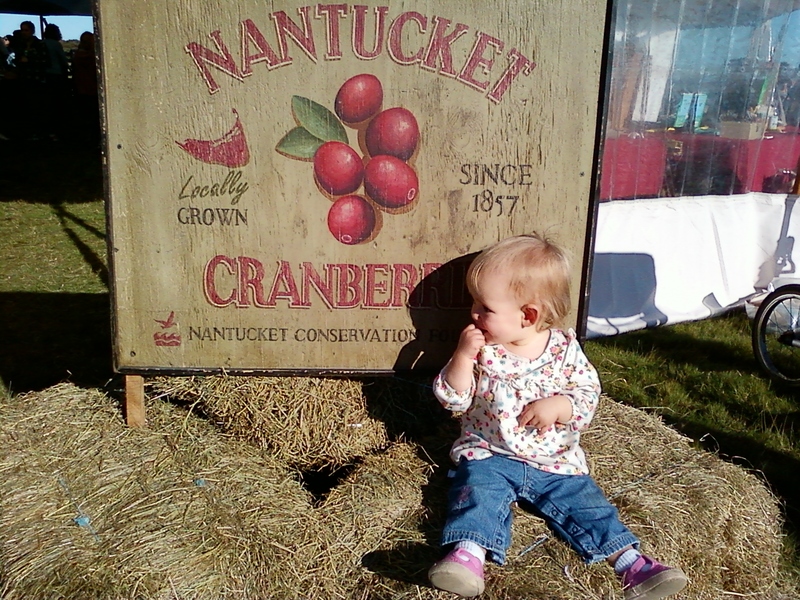 Yesterday was the Nantucket Cranberry Festival. I hadn’t heard about it until Friday, when one of my friends asked if Nora and I wanted to go with her and her son. 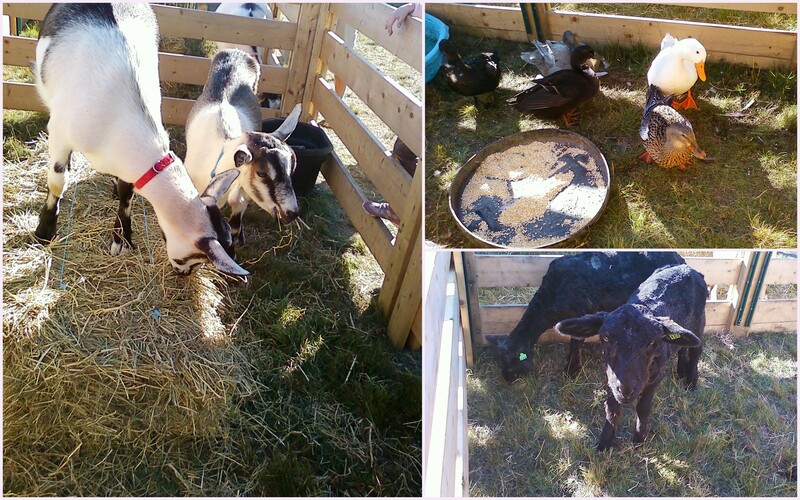 I didn’t have to think twice: local cranberries, bog tours, and farm animals? Yes, please. 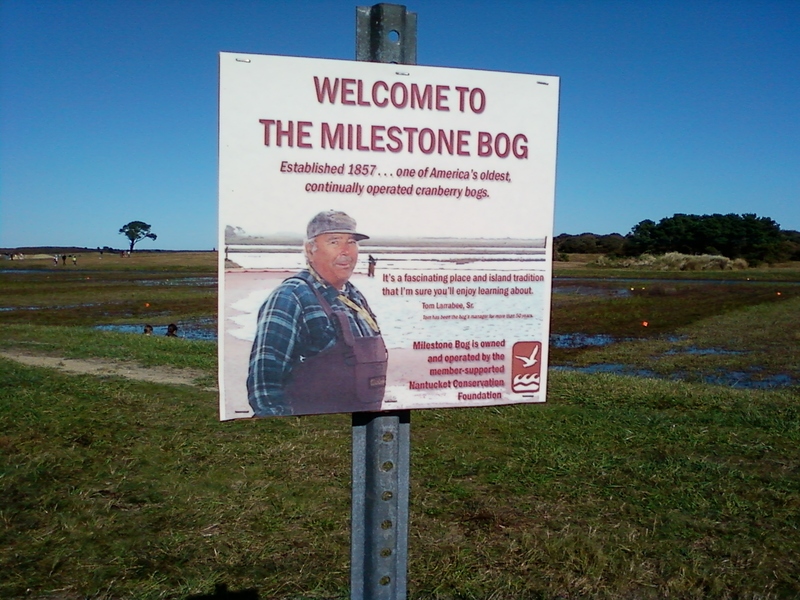 and we headed out to Milestone Bog, which was, as the sign says, established in 1857 and is one of America’s oldest continually operated cranberry bogs. It was a beautiful day; windy, but warm enough to not need a jacket and perfect for discovering something new. I don’t know if I’m practically an expert, but I did learn a few new things on the self guided tour. 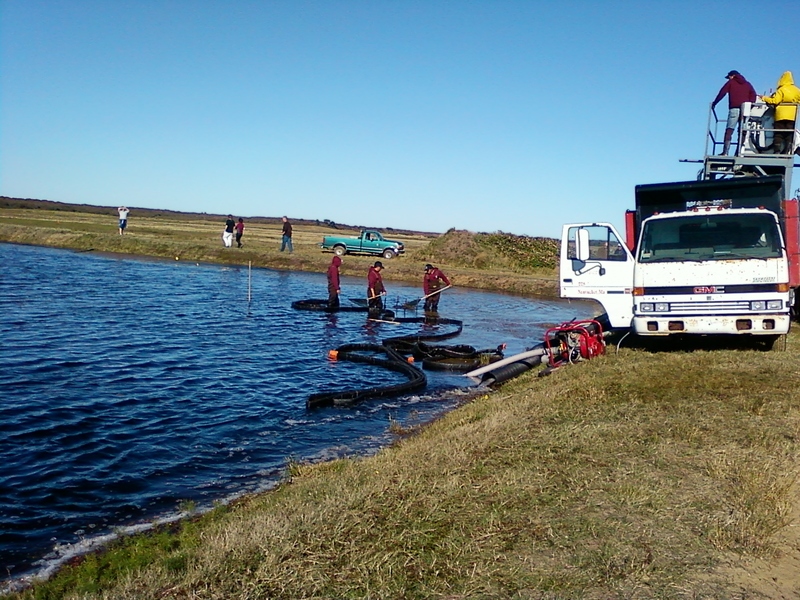 There are two bogs operated on Nantucket, the conservation one (where we were) and the Windswept Bog (which is the organic bog). 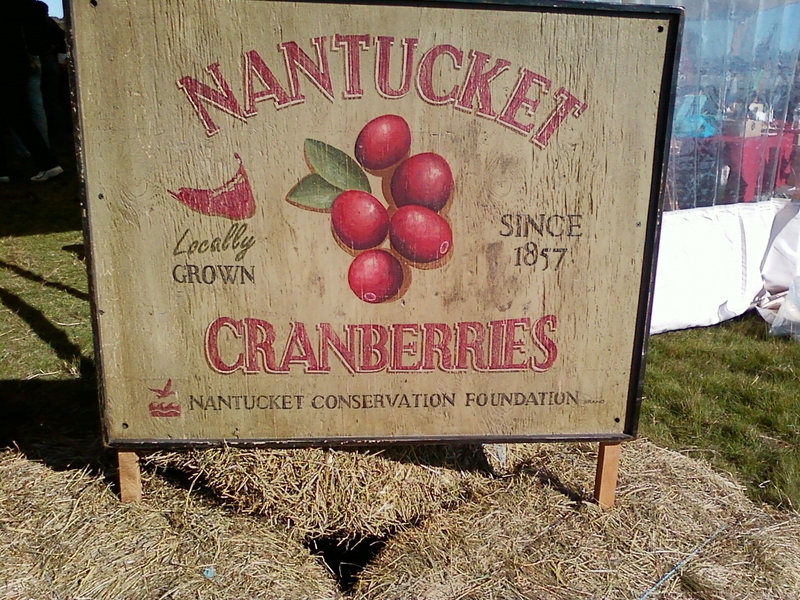 They total 213 acres and produce over 2 million pounds of cranberries a year. 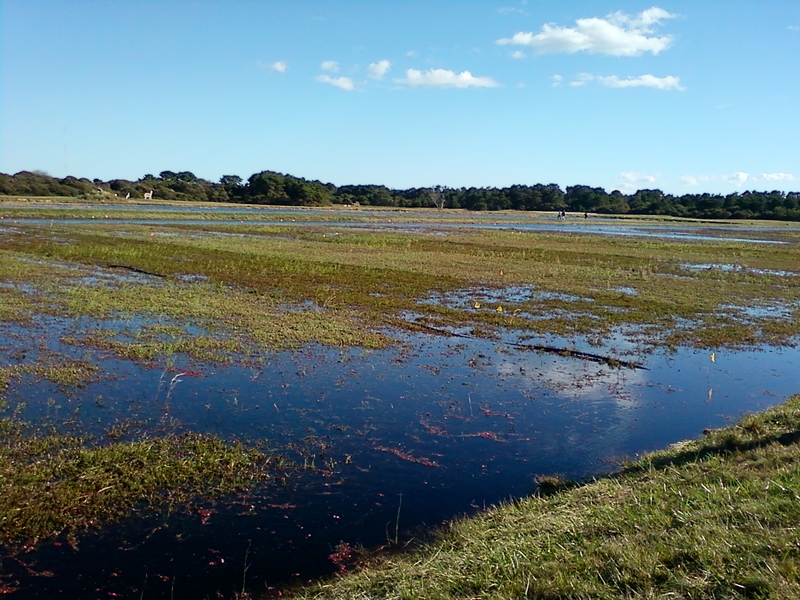 That’s about 3% of Massachusetts’ cranberry production. 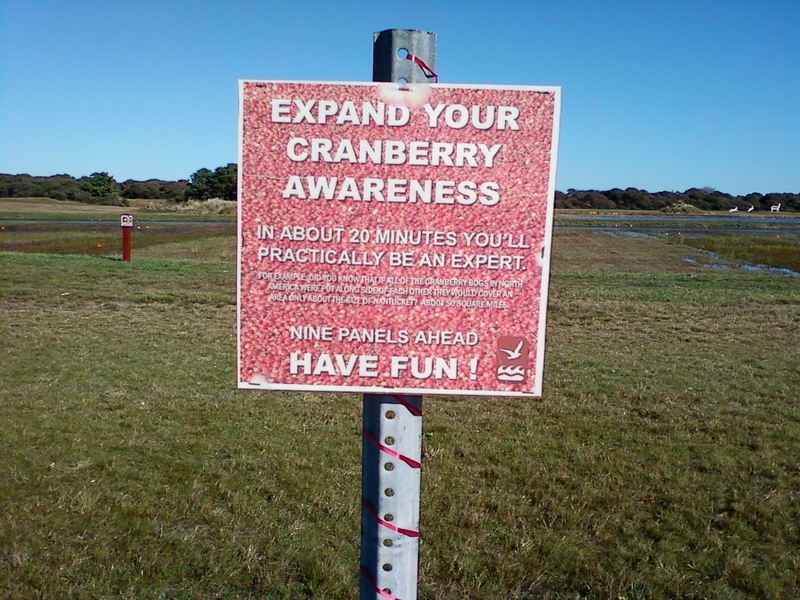 What really surprised me, though, was learning that Mass only produces 30% of the US’s cranberries. Wisconsin is actually the biggest producer. Wisconsin. I guess I thought of Massachusetts as the big producer because of Ocean Spray, which is located not too far from us on the cape. Interesting how advertising can create an image of something that is completely different from reality. I had to laugh when I read that, because when I was a kid, we came from Iowa to vacation on the cape and one of the things we did was tour cranberry bogs — it would have been much closer for us to go to Wisconsin! 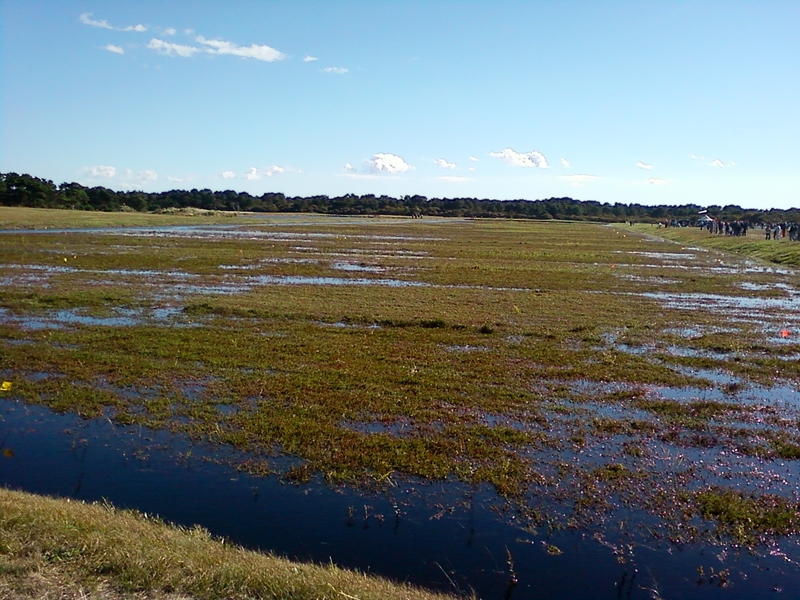 As we walked through the bog, I managed to get a picture of something I’ve wanted to write about. If you look closely in this picture, you’ll see an animal standing in the background. It’s actually a giant cut-out, and is one of the quirky things about Nantucket; as you drive down Milestone Road to ‘Sconset, there are a bunch of cut-outs of savanna animals (zebra, antelope, etc.) in the field on the left (very specific, I know, but if you’ve ever been here, you know where I mean). where there were dried cranberries for sale, and cranberry honey, cranberry jam and preserves, too. 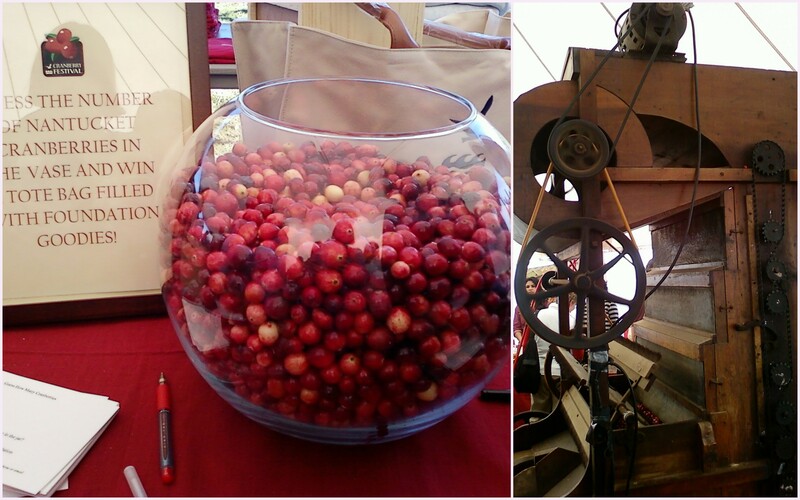 There was a “guess how many cranberries” jar and a working cranberry sorting machine. I guessed 3152, but I’m horrible at these things; what do you think? 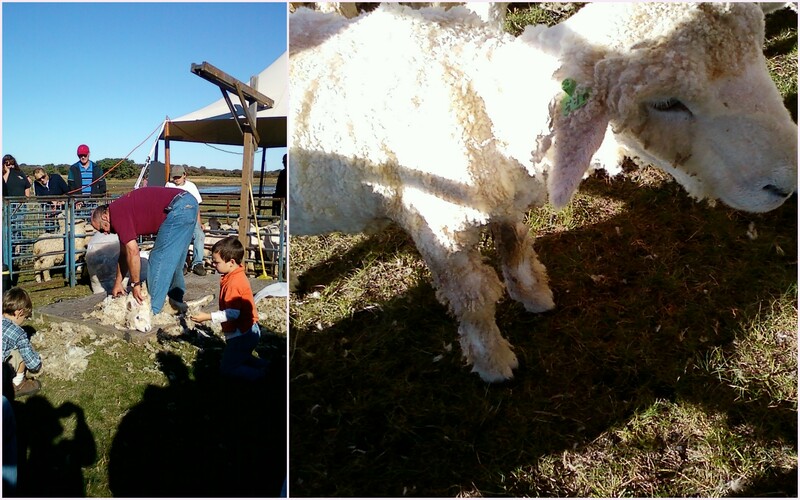 We looked at farm animals, which Nora liked (although I may have loved them more…I really like farm animals), and watched a sheep shearing demonstration. Nora made me laugh, because she kept calling the sheep “doggies.” She just really likes dogs! It’s so cute…except when you’re trying to take a picture of her and she doesn’t want to look at the camera because there are dogs not too far away. Picture or no picture, what a great way to spend a Saturday! Besides the festival, I really enjoyed walking and talking with Mr. T and his mama. He is so adorable and sweet, and she’s super nice. Though I know it will be hard for her to go back to work, I can’t wait to start watching him this week. 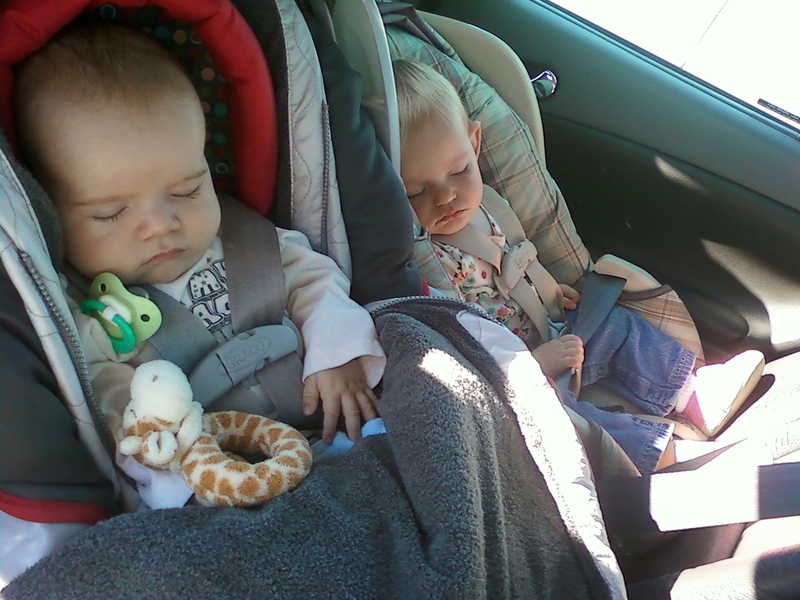 Aww, those babes sleepin in the backseat together is SO sweet!! 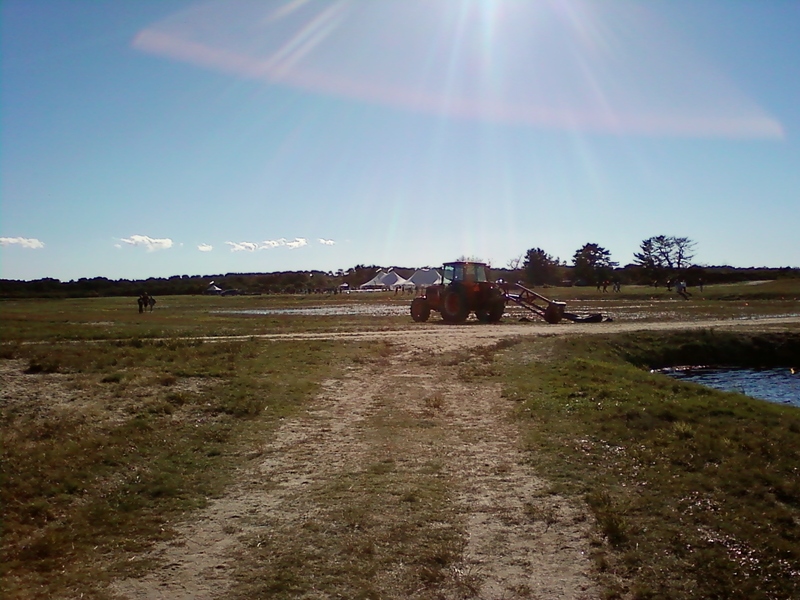 And I love fall day trips, pumpkin farms, hay rides, farm animals… so much fun! 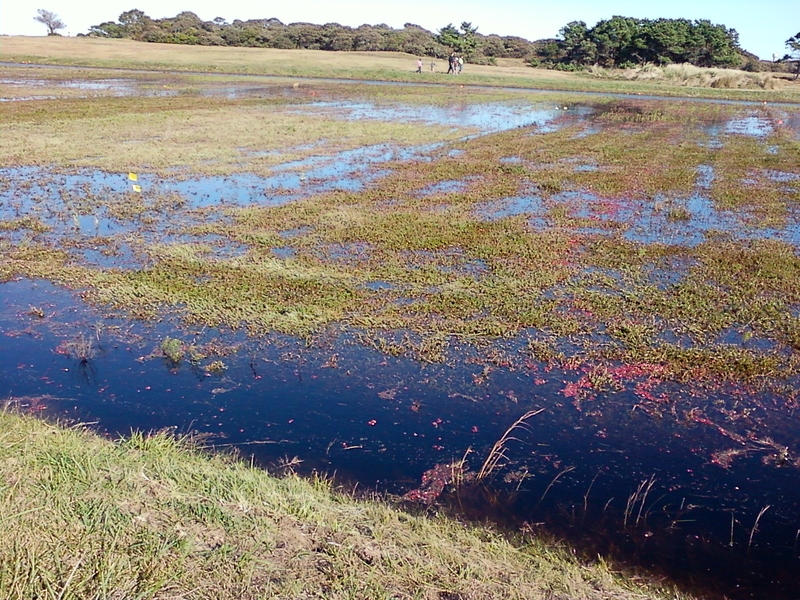 we got to go to a cranberry bog in washington state once. it was growing season though, not picking time.